Where are Beirut’s largest land banks located? It is becoming more and more difficult to find vacant land in the most popular neighborhoods of Beirut. However, some areas still represent important land banks that have tremendous future development potential. While the potential of some areas, such as BCD’s new Waterfront District, is well known and has the asking prices to prove it, others are less obvious or are still testing grounds that have not realized their full potential. 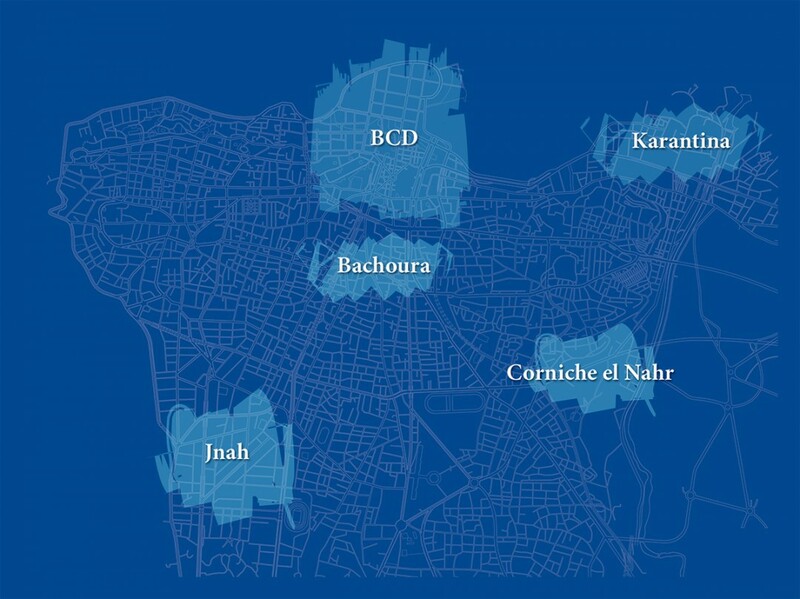 BCD remains by far the largest land bank of Beirut. Dispersed plots still remain in the part of traditional BCD (inland BCD), around the Ring area, and in Martyrs’ Square. These are large plots of land that represent a hefty investment at around USD 3,000 per BUA. However, despite their central location and their commercial potential, demand remains relatively shy and hesitant. On the other hand, the brand new Beirut Waterfront District (BWD) is the jewel in the BCD crown. This new city offers some of the most beautiful plots of land in Beirut, with breathtaking views and impeccable urban planning. Here, all the various uses work: hotels, offices, residential apartments, retail areas all have great prospects. However, being located in one of the most beautiful spots in Lebanon comes at a great cost. A relatively new residential destination, Jnah has been booming since the early 2000’s. The area is the ideal playground for developers – they can have their pick of land, and almost endless options for allotments and developments. The area is dominated by a few developers with tight connections in very specific niche circles of clientele, predominately in the African diaspora. At USD 2,000 to USD 2,500 per BUA, the area allows developers comparatively wide profit margins, particularly as the area is not renowned for its high construction quality, despite the high asking sales prices of residential apartments. With still ample vacant land, the area has many more years of development ahead. This is the future extension of Beirut City. One of the largest land stocks of Beirut, Corniche el Nahr is an area in the making. Some roads have been planned but not yet realized, making the area’s full potential difficult to see for the non-initiated. However, professionals in the field enjoy prospecting for good purchase opportunities. Most of the area, however, is held by a few families, so “good deals” are rather difficult to come by. The area’s location in one of Beirut’s major traffic arteries make the plots bordering the Nahr Avenue ideal for commercial development (offices and retail), while the inside streets are becoming a residential destination, offering both individual buildings and large residential compounds. 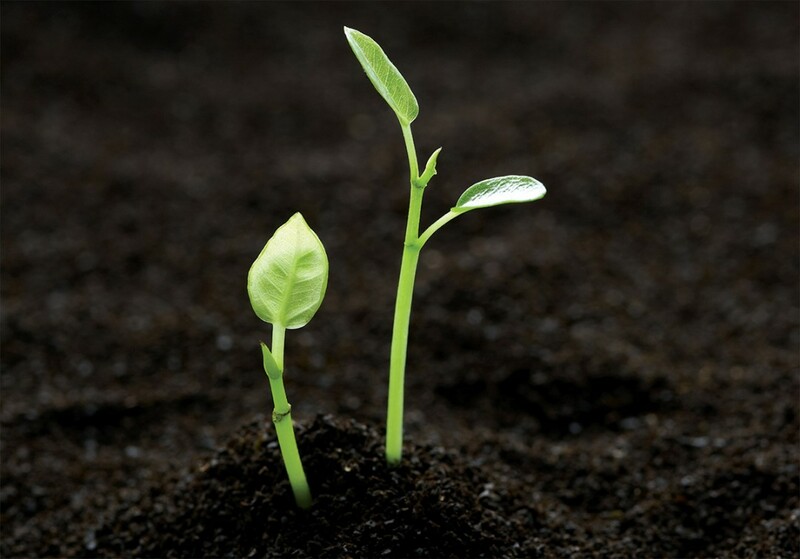 The price of land thus depends on its exact location and its development potential. The area still has a large number of empty plots and many plots with old constructions that could be demolished and rebuilt. However, the area still has difficulty attracting investors. The name of Karantina carries a negative connotation as the area is still associated with the quarantine that gave it its name. Karantina is most famous for being the site of Sukleen’s trash collecting truck hub, the slaughter house, the military hospital, and other industries. Of course, being a port area will always mean that the neighborhood can never rise to the stature of a “prime” location. Understandably, developers are therefore still reluctant to put a foot in the area. Karantina has definite development potential, given that it does offer a rare land stock at the very doorstep of BCD, but its prospective optimal returns do not justify the prices currently being asked for land. Exactly across the street from BCD’s Martyrs’ Square, extremely easy to access, Bachoura is one of Beirut’s largest land stocks and one of the most strategically located. On the downside, Bachoura is still perceived as a frontier zone – remnant of the Lebanese Civil War. It also borders one of Beirut’s least attractive highways – Bechara el Khoury, and the neighborhood of Khandak el Ghamik. It is future potential, however, makes Bachoura a favorite playground among speculators. A new effort to create a business hub for the IT sector in Bachoura may give the neighborhood the needed boost to attract more developments. 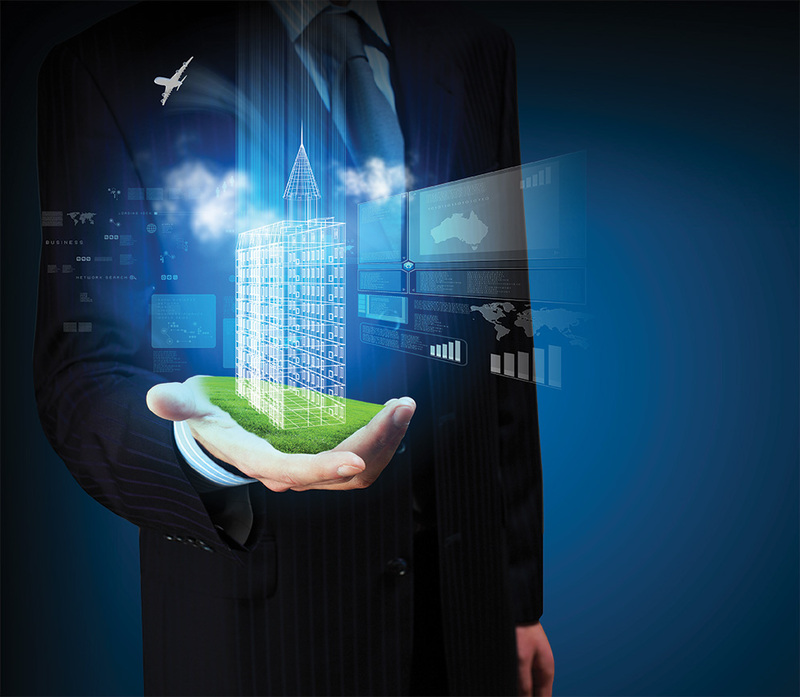 Developers are on the lookout for possible development opportunities.